About Me: I'm Freud. Most people know me as the sweaty try-hard streamer who never seems to win any games. Despite my reputation as the world hottest Duelyst streamer, I am also the games 40th best deck builder. In all seriousness, I am the worlds best Duelyst player. So, any decks I make and any decisions I make in game are the best and you should play them. Anyway, I could talk about myself forever, but what we are really here for it to find out how to play the deck. More on that below. Aright nubs, listen up. This is an IQ required deck. You can’t be a potato or a magmar main and expect to pilot this deck to S-rank. You have to be an educated, wealthy, vanar kindred in order to win games in the wander plagued meta we currently play in. 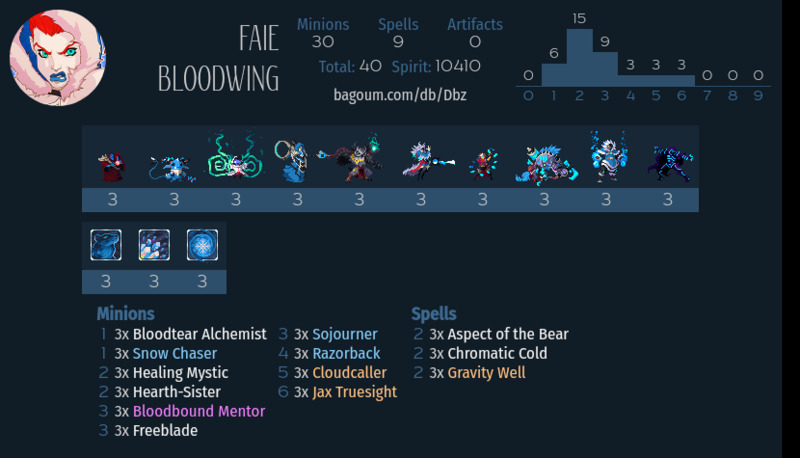 So for those of you who haven’t been playing Duelyst long, Jax Truesight + Razorback was a staple combo until the faction actually got decent cards. While it might seem like Vanar’s best card is Blinding Snowstorm, its actually Razorback. Therefore, I’ve taken the responsibility of putting the faction on my back in creating this decklist. The early turns of the game are very crucial for carrying out the deck’s gameplan. One should attempt to keep the board clear or be ahead on board. Since this is a combo deck, we don’t necessarily have to be ahead on board. As long as we are at least even, and not behind, we can slam Jax Truesight on the board and force our opponent to answer it or inevitably die in the coming turns. Cards like Snowchaser, Aspect of the Bear, and Healing Mystic are very powerful when combined with Gravity Well. Gravity Well lets us maneuver in such a way that we can take the tiles away from our opponent and develop in their face. What this does is delay their access to the center of the board (and conversely mana springs). It also has the additional benefit of protecting you and your minions. Basically, you want to develop a board and continuously remove your opponent’s. Fit damage into face while you can, but don’t be too concerned with this because you can usually kill them in one or two turns with a Jax Truesight combo. If you are going second, feel free to play your three drops both aggressively and defensively as you see fit. This is not a control deck, it is a combo deck that can play the control game if you need to. This is the stage of the game where you have to start thinking about how you are going to kill your opponent. If we are going according to the deck’s gameplan this requires you to think about how you are going to slam Jax Truesight onto the board and how your opponent can react to it. If you are ahead on board, clear what you can of your opponent’s minions/artifacts and then play Jax defensively. You want to try and preserve as may of the 1/1 Mini-Jax spawns as you can. If you are even on board, you can still slam Jax defensively. Generally, losing two of the Mini-Jaxs is not a big deal. If you are behind, it is almost never a good idea to play Jax, but if you are certain you won’t die and that your opponent has no answer to it, then you can still play it. Otherwise it is best to attempt to develop your own board and protect your life total. In scenarios like this we rely on the deck’s alternate win condition which is the inevitability of Faie’s BBS. Set up a Jax Truesight or a board of minions that you can then razorback to kill your opponent. Protect your life total if you are behind. As long as you are alive you have a shot at the game since you are Faie. Prioritize face damage over trading if you are in a position to do so. It is best to set up your combo rather than defending against your opponent’s. As this point in the game you should have set up a Jax Truesight/a board of minions which you can then razorback for lethal. If you have not accomplished this then you should attempt to do so or bail on the gameplan all together and grind your opponent out of the game using Faie’s BBS. Send any miscellaneous damage to your opponent’s face in an effort to set up a two turn lethal. Jax + Razorback combo for lethal assuming you have it set up. If you were unable to set up the combo, rely on Faie’s BBS to grind your opponent out of the game. If your health total is low smack the esc –> concede buttons because it will save you time. Lastly, I’m uploading a very detailed tutorial video to YouTube which goes over all the minutia related to the deck and how it plays out in the Wanderer meta. I will update this post with the link to that video soon. Ok but how does this beat Flash-Makantor?